Why? Because we know that the combination of Ontario’s warm long summer days and cool nights coupled with an abundant supply of water always produces a high-quality potato. 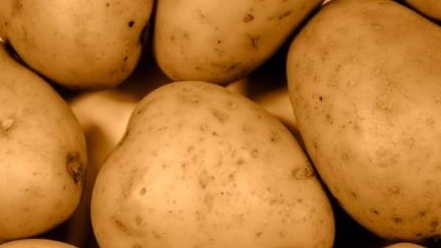 Potatoes are Ontario’s largest fresh vegetable crop and second only to tomatoes as a processing crop. According to History of Agriculture in Ontario 1613-1880 by Robert Leslie Jones, published in 1946, French settlers grew potatoes on the east side of the Detroit river from present day Windsor to Amherstburg as far back as 1760. Later, in 1783, according to History of Farming in Ontario, published in 1914 by C.C. James, the United Empire Loyalists began growing potatoes in Ontario when they settled the banks of the St. Lawrence river, the Bay of Quinte and the Niagara peninsula. Today the average annual acreage is approximately 29,000 acres.